The first alleged shooting occurred Wednesday in Baton Rogue, La., and involved a 37-year-old black man, one Alton Sterling. The images were sketchy, but today a “second video” was released. It shows Sterling pinned to the ground, and the officer unholstering his gun. Watch starting at 0:35. It’s blurred right at the crucial moment (0:45) when the video records the report of a shot. There are several more shots that follow, yet the video doesn’t capture any useful imaginary. Per usual, this is very suspicious timing as far as what the viewer is allowed to see. But then again there should be CCTV footage, no? Let’s have a look to settle the matter. If Sterling was shot at this range, there is zero sign of impact or trauma from the video. Even presuming Sterling was shot, we have no reference as to why police took this action. Did Sterling have a hold of a weapon? We hear a narrative but again no clues from this so-called video “evidence.” Here is Sterling’s lengthy criminal rap sheet. There is lots of divide-and-conquer Hegelian dialectic and strangeness on all sides with this one. In the video we witness Reynolds reading unemotionally into a camera (for Facebook, of course) and seemingly off of a script. At 0:38 the police officer gives the appearance of being “out-of-control,” saying “I told him not to reach for it, I told him to get his hand off it.” This feels like an acted scene. The girlfriend responds like she is arguing about speed limits not a fatal shooting. Apparently the girlfriend also had the wherewithal during the commotion to have counted four rounds fired into Castile. Only after being removed from the car does Reynolds finally show emotion at 2:10. The video goes blank for three minutes and finished up with Reynolds recapping what transpired. You see a 4 year old at 5:45 in the video, and she is not even crying. Finally as she sits in the police car handcuffed near the end, some how she managed to run the video on herself and make more comments. Verdict: No final determination as of yet. Both incidents look very dicey, very fishy. TNN will closely watch for further anomalies. Of course, if George Soros is lurking, we may see racial outbreaks and violence. The Jewish cognoscenti is already on this like flies on a horse. Remember, there is an agenda to bring local police forces under centralized, national control. They do this by making them look like bumpkins, not up to the job. This would be akin to the (((Cheka))) running all police. That would be a disaster. Local police have ties to their communities and are far more accountable than the Cheka. I don’t pay attention to any of these reports since I suspect all of them to be scripted, or assassination cover-ups. We’ll never know the truth about any of them. It’s sad that members of the black community have been co-opted or pressed into these psyops. I strongly believe these people disappear in the end because they can’t be counted on to stay quiet and who knows, maybe we’re even watching their murders or simulations thereof. It’s too much work. The feel of desperation is everywhere. Discredit the police, the military, your community, confuse everyone by mixing some reality and stereotypes with diabolical mind games. We’ve just got to keep our heads together. Big stuff must indeed be coming. That FBI announcement with the inverted FEDERAL and the scales of justice off balance was unprecedented. Fox showed it several times. How could anyone miss it? Even my husband was stunned and he’s in a complete stupor. for the Dallas incident. 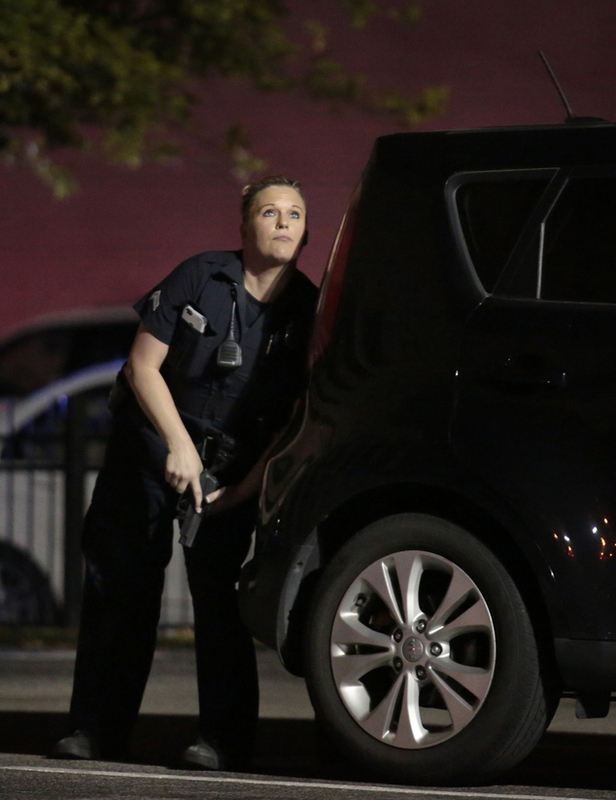 Is the Dallas shooting a hoax as well, or a false flag? Too early to tell. CIA certainly has gotten things rolling in Dallas this morning. Agent Provocateur is johnny on the spot to boost the dialectic. On Dallas: Stay tuned if we see anomalies and evidence something happened here we will comment. So far this is another “echo chamber”. There isn’t much to sink one’s teeth into. They aren’t showing anything other than police posing on the street in “Kenya Mall style” photo ops. 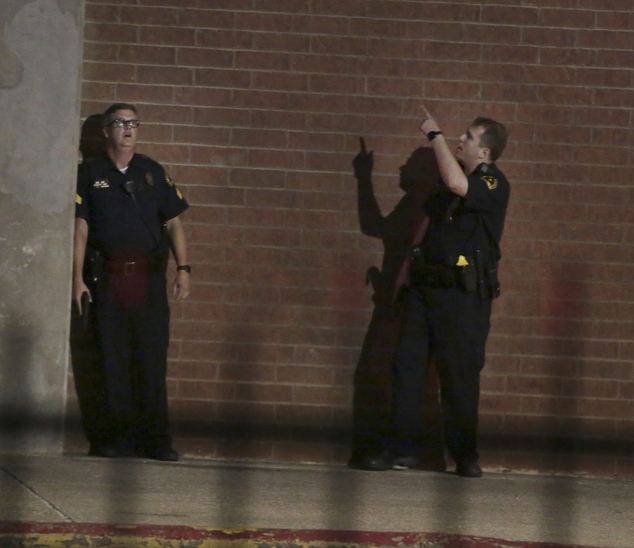 Love all the photos of police pointing weapons in the air though, nice touch. -and we have the strange sneak behind scene where the cop is hiding like a 7 year old behind a pillar and gun man “executes” him. Does this look real? Boyfriend just shot, what to do? Sit calmly with no emotion or outburst and face time on CIAbook on your Apple Phone cooly describing the event with boyfriend dead next to her. Where have we seen this before…..